Failure to diagnose a Stroke in a timely manner can result in serious injuries or even death. Stroke is the third most common cause of deaths in the United States, second only to heart diseases and cancer. Stroke occurs when the oxygen supply to the brain is reduced or completely cut off. In almost 85 percent of stroke cases, the oxygen supply is cut off because of an obstruction such as a clot in the artery. Only 15 percent of stroke cases are caused by blood leakage to the brain caused by a broken blood vessel. The first type of stroke is known as an Ischemic stroke. People who have recently undergone an invasive surgery are at a higher risk of developing a blood clot that can cause a stroke. Stroke can also be a hereditary condition. No matter what the cause of a stroke is, timely diagnosis and treatment is essential. Delay in treating a blood clot can cause anorexic brain injury resulting in severe physical, mental, emotional, and/or behavioral disability. It is extremely important that the stroke is immediately diagnosed and treated. The longer diagnosis and treatment are delayed, the higher the chance of a brain injury occurring. When a patient comes to the emergency room with any of the above mentioned symptoms, it is the duty of the doctor to order appropriate tests such as a physical exam, blood tests, computerized tomography, magnetic resonance image, carotid ultrasound, and arteriography. Any of the aforementioned tests can help diagnose a stroke. It is important that the tests are ordered in a timely manner. Medical errors committed during diagnosis or treatment of stroke can have life threatening implications for patients. The damage that a patient and their family may experience can be devastating. A patient may become permanently disabled or may even die. If you or someone close to you had a stroke misdiagnosis, contact a St. Louis Medical Malpractice Lawyer at our law firm. 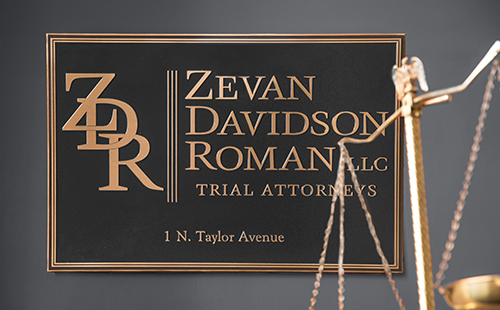 We can evaluate your case for free and help you recover compensation for you losses.